USPLabs Latest Anabolic – Click Here for the Best Deals! USPLabs new anabolic supplement, Versa-1, earned its name because of it’s extreme VERSAtility – it may be the most VERSAtile supplement on the market today. This anabolic has a patent-pending formula that you will not find anywhere else. When the USPLabs “Inner Circle” release launched January 8th, 2013, the site crashed within minutes from the sheer volume of people eager to check out the newest product. It’s that hot, due to the overwhelming beta tester reviews that came in. Needless to say, the launch was a success, mainly because beta testers have been raving and the word was spread- USPlabs produced another game-changing supplement that can be stacked with any other product they produce. 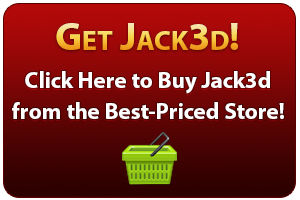 My favorite 1-2 combination is taking it with Jack3d. It’s an anabolic, which basically means it puts your body in an extreme muscle-building state, and it does it fast. I was one of the first individuals, part of the “Alpha testing” group to receive an unmarked, white bottle with serving directions – I had ZERO idea on the ingredient profile, or what to expect; now that the IC release has dropped the veil was parted and we now know. This is a very unique product with a brand new profile – it is a product you will see work and, most importantly, feel. I am having trouble providing one term to use to describe and say what Versa-1 is – what isn’t it? I have read through countless logs on the Usplabs forums, Anabolicminds and supplementreviews.com and EVERY single beta tester experienced results and responded to this product, some as early as the first dose while some said it didn’t completely kick in until week three. There were two sample groups used. One run this product completely standalone and the other group combined it with their pre-workout supplement of choice (most being Jack3d or Jack3d Micro). Some of the countless effects felt and seen by this product include a thermogenic effect and a anabolic effect (more to come below). Even though none of the alpha testers knew what was going on, everyone had similar effects and results from it. For instance, the USPLabs Forum was constantly awash with PRs (Personal Records) from those who were lifting heavier and heavier. Everyone, even the dieters, was hungrier – which means that an anabolic effect was taking hold, and makes us believe that there was no placebo happening here. Everyone also had incredible pumps, and increased vascularity. There were just too many similarities across too many body-types and athletic styles to think that this was anything but an epic, versatile anabolic. I have come to trust USPlabs through my years of taking their products and seeing results of those around me who use them; I have very high expectations from their product, performance and quality of their extraction methods when preparing/harvesting new herbs. They continue to impress. The “Powerhouse Compound” that powers it is N-[2-hydroxy-2(4-methoxyphenyl) ethyl]-3-phenyl-2-propenamide, also known as aegeline, which they have filed a patent with the United States Patent Office because they say it is so innovative, and us the testers responded so well. This compound, according to animal model data, showed that Versa 1 may interact with a receptor called TAAR (Trace Amine Associated Receptor) which promotes the feeling I have talked about, vigilance/mental alertness and improved cognition. This compound also boasts anabolic properties and interacts with beta-3 receptors which may allow decrease in fat mass. Another powerful ingredient they added to Versa1 is Cytidine 5’-diphoscholine, also known as citicoline or CDP-Choline. This ingredient helps supports healthy acetylcholine levels- a neurotransmitter responsible for allowing muscles to contract. The idea is be able to contract muscles harder, and with a stronger contraction- “(i.e, more force or strength) may be seen…” says the USPlabs team. But it’s most known for it’s neuroprotective and cognitive-enhancing abilities, yet with NO side effects. There have been hundreds of studies on this naturally-occurring brain compound and they’ve all shown incredible benefits in the brain, with no sides and a very high bioavailability. Nearly nothing is wasted. I personally believe that this product is for any serious weight lifter (Body building, Power Lifting), MMA fighter, endurance athlete or anyone seeking to reach a specific goal. It truly is extremely versatile. I ran this product on a bulk and over the course of 60 days gained 14lbs of mass- simply incredible. Others ran this product during a cut (caloric deficit) and were able to lose weight while maintaining+ adding lean muscle – the true cornerstone of a successful leaning product. There are a few athletes testing this product who are in MMA type sports (karate ect) some who are cyclists, marathon runners- the list is endless. This product has helped each one of these individuals achieve their goals. 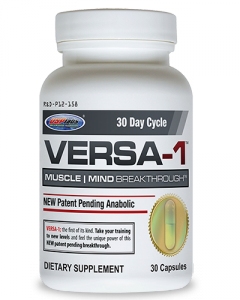 I can honestly say Versa-1 should aid anyone looking to better their active life style. You can check out the Alpha Testing log, but to save you some time I will summarize what I felt and the results I experienced as well as others who I followed. I stacked Jack3d with Versa-1 as I stepped into the gym. From the first dose I experienced a slight yet significant themogentic effect- I sweated much quicker into my workout, I also felt “the almighty pump” experience much quicker. Myself along with the rest of the testers immediately felt the “Muscle|Mind connection, I felt my muscles work with my mind- you were almost “one”, it is almost comparable to the feeling of taking PowerFull PWO but much more intense. The anabolic properties were significant. Most of the testers gained anywhere from 4-14lbs of learn mass- many took before and after pictures which is the proof to the pudding. I highly recommend taking Versa-1 with Jack3d or Jack3d Micro – it amplifies the effects and the products seem to feed off one another. 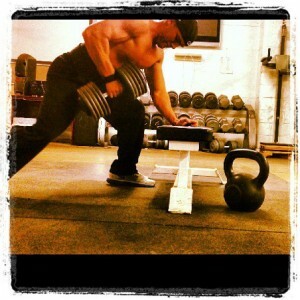 This was Colby Strunk’s personal write-up with Versa1. It’s now for sale at retailers, so see below for the best deals.